To Cage A Butterfly by Jackson Sever To Cage A Butterfly is a biography of a Political Target. 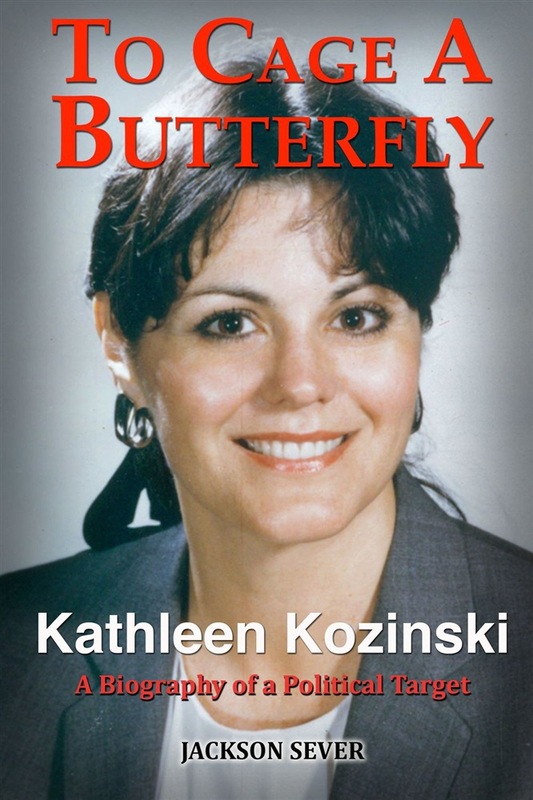 It is about Kathleen Kozinski’s life and her shocking experience with the Lois Lerner IRS and the Loretta Lynch Department of Justice under the prior Administration. She worked so hard to earn her way through college and law school. She became an Attorney in New York and Florida, a Town Councilor and a Vice Mayor, as well as a very respected public servant. To Cage A Butterfly also describes how Kathleen Kozinski became involved with helping Jack Nicklaus with The Bear’s Club, Burt Reynolds with his Museum and then his Institute, and helping to save the Jupiter Theatre, which later was named the Maltz Jupiter Theatre, along with many other projects. Why did it all come crashing down? What happened to Kathleen and why did it happen? Who was after her, and what did they do to her? Who betrayed her? Where is she now? To Cage A Butterfly is a biography of a life of extraordinary love, of personal and public service, of betrayal of the worst kind, of faith that saw her through the horror, and of how she became free to dream and begin again. The Epilogue contains her Special Remembrance of Burt Reynolds. Acquista To Cage A Butterfly in Epub: dopo aver letto l’ebook To Cage A Butterfly di Jackson Sever ti invitiamo a lasciarci una Recensione qui sotto: sarà utile agli utenti che non abbiano ancora letto questo libro e che vogliano avere delle opinioni altrui. L’opinione su di un libro è molto soggettiva e per questo leggere eventuali recensioni negative non ci dovrà frenare dall’acquisto, anzi dovrà spingerci ad acquistare il libro in fretta per poter dire la nostra ed eventualmente smentire quanto commentato da altri, contribuendo ad arricchire più possibile i commenti e dare sempre più spunti di confronto al pubblico online.